This earth shattering news comes to you because the earth is shattering. Henry Ford may have put the World on wheels. But now the World is sitting in 100 mile traffic jams (in China). And Henry's great grandson, Bill Ford, is more concerned about the survival of the family company. Over the next 100 years, that’s going to depend on the survival of the human race. In a conference labelled “Ford Future in Motion”, several hundred people with environmental, World resource, sustainability and congestion concerns met in London on 14th November to discuss how a World population set to grow from 7 billion to 10 billion in the next ten years was actually going to manage to stay alive, not merely get about. The delegates almost immediately dismissed the future of cars as irrelevant to the subject for discussion. Instead, it became how the inhabitants of an increasingly congested planet, faced with increasing diminishing resources, were going to be able to get to work, get food to each other and build roofs over their heads. Barb Samardzich, vice president product development Ford of Europe. Susan Claris, associate director, Arup. All was presided over by Jo Confino, executive editor of the Guardian newspaper and website, and chair of Guardian Sustainable Business. Each speaker had their say, then engaged in discussion between themselves, then invited comment and suggestions from the audience. But what was remarkably refreshing was the uncomfortable feeling that any talk about bicycles in city centres and reducing the CO2 of cars to 95grams a kilometre was popping the spot rather than killing the disease. We cannot worry about people missing personal interaction in an office when, as Sylvan Haon wisely pointed out, our principal concern will have to be getting food and materials to where they are needed. This is the age of the Internet. So why clog the roads with people moving about to ‘work’ in offices when that prevents food getting to the people? And if people have to work together, then why travel to and from work every day when it makes more sense for them to live where they work? Add to that the fact that a bus full of people has a lower environmental and resource impact than a car containing one or two people. A train full of people has an even lower environmental and resource impact. So, plainly, assuming people who absolutely need to travel any distance over 5km can walk, cycle or be taken to a means of mass transport efficiently, the answer is trains, or trams. 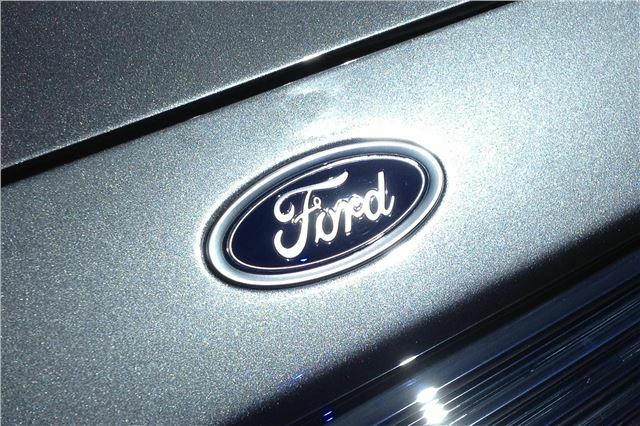 Which is why, at the end of the conference, when Barb Samardzich was asked how Ford intended to sustain its business long-term, her reply was that Bill Ford was looking at every potential direction the company could go to remain a viable, sustainable entity.